Karsh Family Social Service Center leadership is dedicated to strengthening families and community through its core values of innovation, service, Tikkun Olam, and respect for the individual. 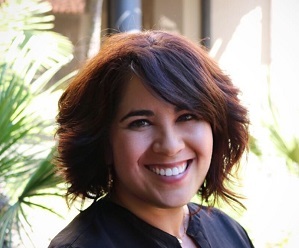 Lila Guirguis has decades of extensive professional experience working with Los Angeles–based nonprofit organizations, population-based initiatives, and community and neighborhood groups. In March 2018, Lila took on the exciting role of Director of the Karsh Center, and she is responsible for leading the implementation of the Center’s overall vision and strategy. Before joining the Karsh Center, Lila started the first-ever Office of the Young Child for the City of Pasadena. As the sole city staffer in this position, she worked with a 30-person volunteer group to implement the Early Child Development Policy and develop a resolution adopted by the Pasadena City Council to become an Early Learning City by 2025. Prior to that, Lila was the Founding Director of Magnolia Community Initiative (MCI) for eight years. In this role, she mobilized community organizations and residents to take effective actions that improved health and developmental outcomes, using network theory and change-management strategies designed to transform working relationships, care pathways, and population outcomes. Lila holds a master’s degree in Public Administration from the University of Southern California, which included a special focus on Nonprofit Management. In addition, she completed her bachelor of arts in Developmental Psychology from the University of California, Santa Cruz. She is a native of Pasadena and currently lives there. Most recently she was the Lead Consultant for Collaborate PASadena, a consultant for a population-based initiative in Surrey, British Columbia, and a Fellow with the Aspen Institute, Center for Urban Innovation. Rabbi Beau Shapiro directs Wilshire Boulevard Temple’s social action and interfaith programming. 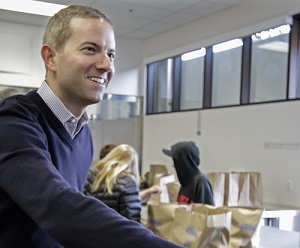 Working with the Temple’s array of services—from the Karsh Center to our Food Pantries and Disaster Response Team—he strives to bring people together in meaningful work so that they can experience the pride and warmth of the Jewish community. Rabbi Shapiro began his tenure at the Temple in 2003 as a song leader in our religious schools and a leader at Camp Hess Kramer. He served as the Temple’s Rabbinic Intern starting in 2009 and was hired as a full-time member of the clergy team after being ordained in 2011. Rabbi Shapiro received a bachelor’s degree from the University of Southern California and a master’s degree and rabbinic ordination from Hebrew Union College-Jewish Institute of Religion. Frances Nova’s dedication to serving others began in childhood when she started to understand the social injustices around her. Her career has focused on developing programs to create equal access for everyone. Frances works with the Karsh Center’s collaborating organizations to expand daily programs as well as helps oversee the Center’s daily functions. Frances received her bachelor’s degree in Sociology at Occidental College and her master’s degree in Social Work with a focus in Community Organization, Planning, and Administration from the University of Southern California. Elizabeth Green is excited to be part of the Karsh Center team, focusing on leveraging the talents, insights, and passion of volunteers in service of the Karsh Center’s clients and vision for change. 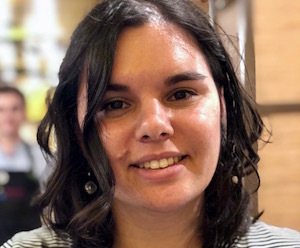 Her professional career has allowed her to connect with volunteers working in many different spaces, from foster care and juvenile justice to summer childhood recreation programs and Jewish teen sports. In each of these areas, she’s seen the power of volunteers coming together to work toward a common goal, ultimately creating impactful relationships and new, and ongoing, communities. 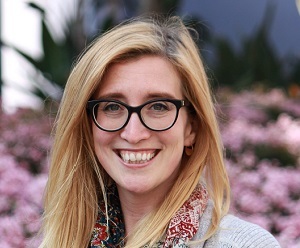 Prior to joining the team at the Karsh Center, Elizabeth was Director of Programs and Operations for Fostering Media Connections. She received her bachelor’s degree in Spanish and Creative Writing at Northwestern University in Chicago and her master’s in Nonprofit Leadership and Management from the Sol Price School of Public Policy at the University of Southern California. Elizabeth grew up as a member of Wilshire Boulevard Temple and spent her middle school years volunteering at the Koreatown food pantry. These are only a few of the things that make her position at the Karsh Center beautiful reasons to get out of bed and come to work each day. Zena Kesselman brings a passion for community engagement and social equity to her work as Executive Assistant at the Karsh Center. As a newly returned Angeleno, she is thrilled to have the opportunity to serve her hometown through the Karsh Center’s mission. Zena looks forward to supporting the residents of Koreatown and learning from new perspectives. Prior to joining the Karsh Center, Zena completed a Princeton AlumniCorps Fellowship as a Special Projects Assistant at the Illinois State Board of Education, where she coordinated internal training events and provided project management support to key initiatives in the agency. She graduated from Princeton University, with an A.B. (bachelor of arts) concentration in History and a certificate in Applications of Computer Programming. Her undergraduate thesis, “Our Stand,” focused on California’s Korean-American community during World War II. 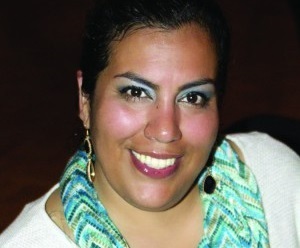 Lupe Henriquez discovered her calling for helping people back in 2001 when she found a job with the nonprofit D’veal Family and Youth Services. Today, she applies her 15 years of experience in the nonprofit sector to her job at the Karsh Center, where she’s thrilled to spread the word that the Center truly is for everyone. Raised in Los Angeles, Lupe’s career history includes working as a family advocate for the University of Southern California School for Early Childhood Education, as a caregiver throughout L.A. County, and assisting clients of Community Build, an organization that helps former gang members and other at-risk youth. 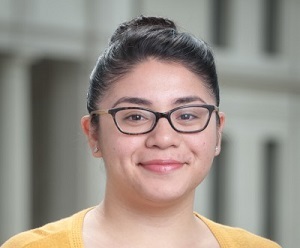 Currently, Lupe is working toward a bachelor’s degree at Antioch University and views her job at the Karsh Center as the perfect opportunity to continue her journey in the social service setting. Lupe can be found in the Karsh Center answering phones, meeting with volunteers, and assisting clients.